Pundok Padayon Bol-anon, led by gubernatorial bet Rep. Arthur Yap, has cancelled all of its activities scheduled on Wednesday to give way to a rally in Tagbilaran City which will be joined by Davao City Mayor Sara Duterte-Carpio, even if Yap’s rival, former Cabinet secretary Leoncio Evasco, Jr., is expected to be endorsed by the presidential daughter during the event. “If she wants to come para mangampanya sa iyang mga senatorial candidates, we are very happy. That is her prerogative. Mayor Sara Duterte is a friend. When I found out that she was coming on March 20, gi-cancel namo mga events sa Pundok Padayon Bol-anon,” Yap said on Monday amid allegations that the Padayon Bol-anon coalition is out to sabotage the proclamation rally. “Kung gusto namo sabotage, then mo-himo mi, ang Pundok Padayon Bol-anon, og mga kaugalingong events para makig-kompetensya nila. But that’s not what happened,” Yap added. A press release issued earlier by Evasco’s camp indicated that the rally is set in Tagbilaran City on Wednesday. Both Evasco and running mate Board Member Tomas Abapo, Jr. are expected to be proclaimed as HNP’s candidates for Bohol governor and vice governor, respectively, during the rally. The event is also intended to be a stage for Duterte-Carpio to campaign for HNP’s senators. 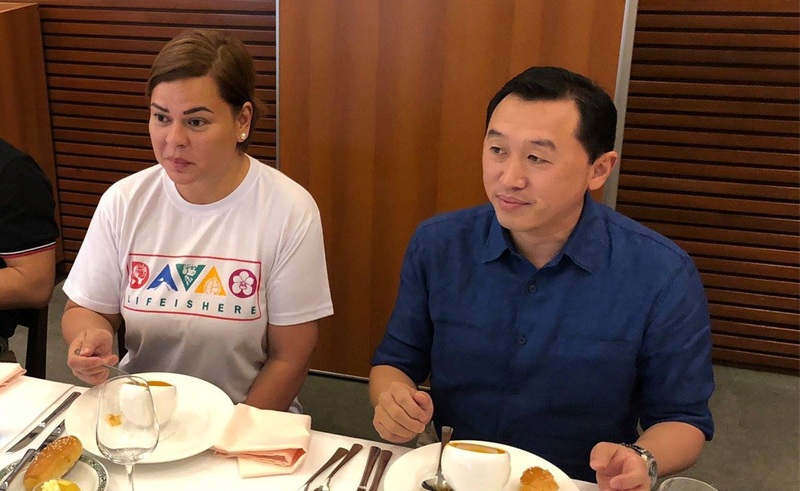 Yap said there is no need for him and Duterte-Carpio to meet during her Bohol visit but he noted that he is ready to talk with her if she calls on him.